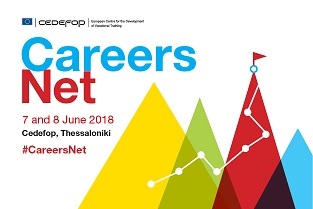 CareersNet, Cedefop’s network for lifelong guidance and career development, will convene in Thessaloniki on 7 and 8 June 2018. Around 40 participants will meet, including the core national experts of the network and a selection of recognised European experts on lifelong guidance policy issues. The first day will be dedicated to methodological and strategic issues for the network’s activity. The second day will be dedicated to thematic workshops on pressing issues for the development of effective career development support in Member States. putting guidance in context – learning, enterprises and communities.